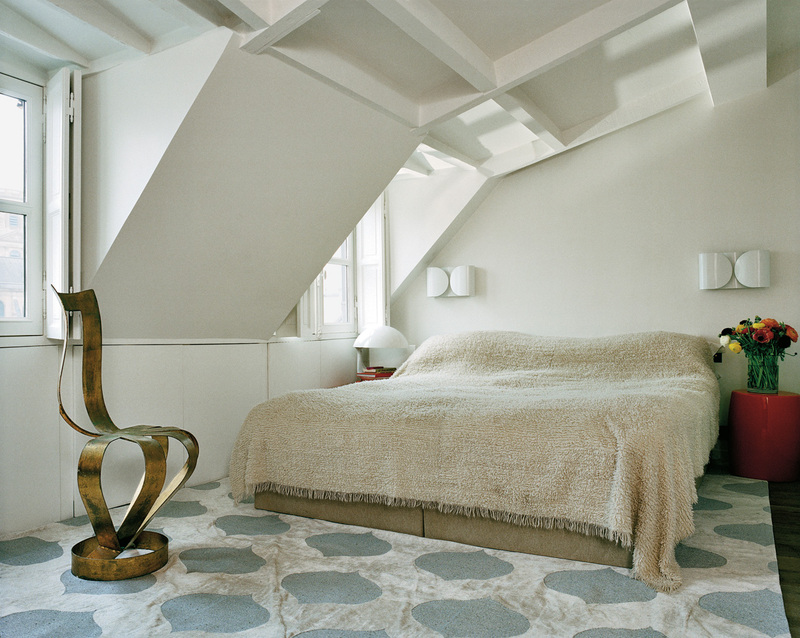 It’s fitting that a jeweler should live in a gem, and the Paris home of Marie-Hélène de Taillac, a penthouse apartment with views over the Parisian rooftops toward Saint-Sulpice, is a lovely one: simple, clean and understated, and in a constant dance with light. A 1970s table and chairs from the Marché aux Puces de Saint-Ouen flea market and custom de Gournay silver leaf wallpaper (with details added by a friend) adorn the dining area. The apartment, where she lives with her young son, Edmond, is perfectly compact, rather like being on a boat; a steep, narrow rail-less staircase leads to a shower room made of slatted wood, just like that on a Mediterranean yacht, on the way to de Taillac’s bedroom. A spare refuge from all the color and sparkle of her dazzling shop, her bedroom is pared down, as if to allow more space for her creative flights. Her bed is covered with a large Kashmir Loom blanket, and the walls are painted white, one side of the room is lined with windows and the other with cupboards filled with her clothes, in a rainbow of candy shades. A jeweled mobile is perched above the living room mantel. Everywhere, splashes and pops of color draw the eye. 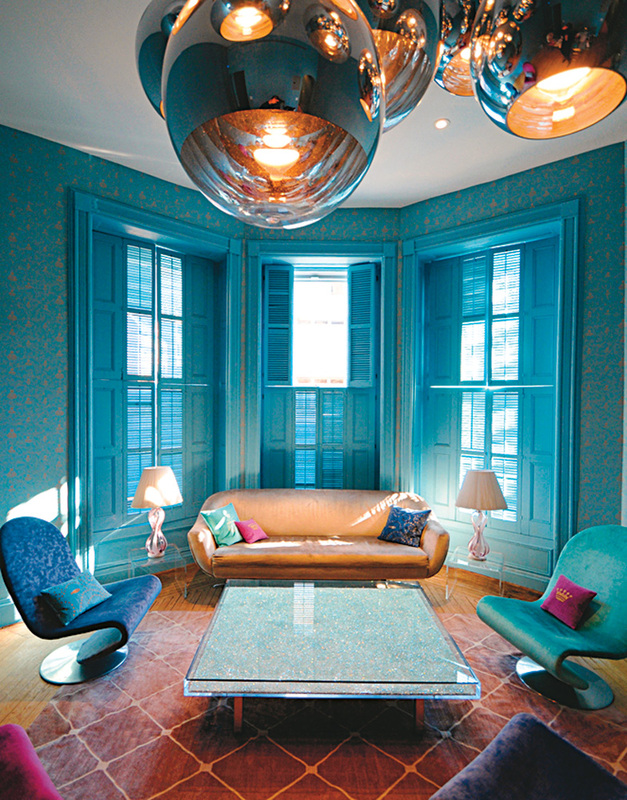 Downstairs in the sitting room, chairs upholstered in turquoise surround a fireplace, over which de Taillac has placed a blue convex mirror and candlesticks holding green apple, watermelon and grape-hued candles, and among the cards and invitations is a divine jeweled mobile, one of her own designs. “It is very nice to wear jewelry, but it is very nice to have it around in the house too,” she says. Along those lines, she once made a kaleidoscope for Barneys and sells beautiful rock crystal domed boxes studded with cabochon jewels at her store. 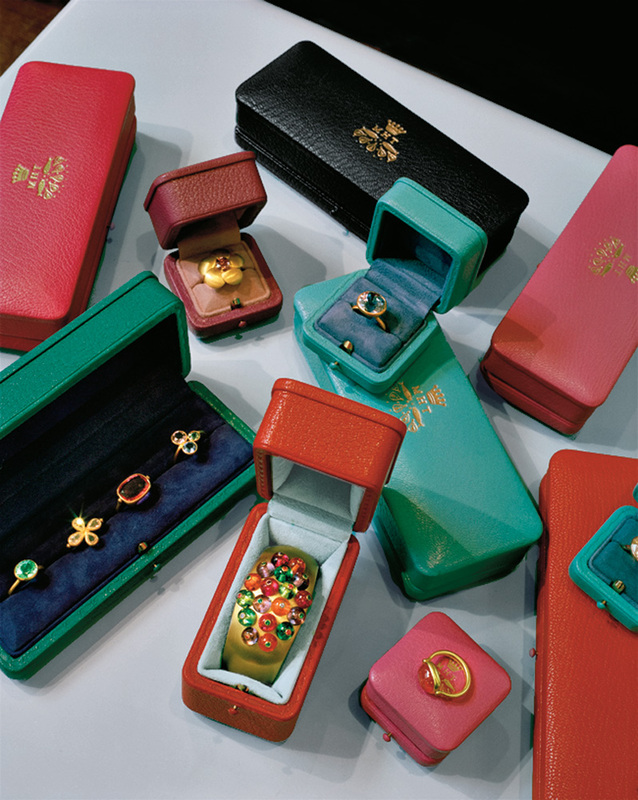 They are reminiscient of a time, the 1930s perhaps, when people would go to Cartier to have things made, endless boxes and dishes and things, each one prettier and more fun than the last. 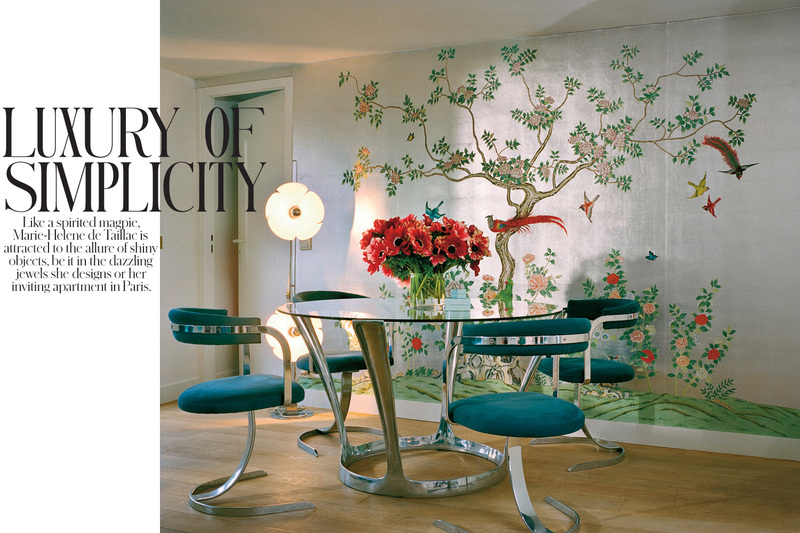 Across the room from the fireplace, the dining room wall is covered in a silver de Gournay wallcovering, featuring a tree of life and masses of birds and butterflies. “It came from an old Chinese paper that the designer Jane Pendry found in San Francisco,” de Taillac says. “She took it to de Gournay and they copied it for me. But when it arrived I didn’t like the color of the birds — they weren’t bright enough!” She invited a friend to come over and repaint them in more vivid hues. “He made them more mad, expanded their tails and changed the breed of the birds,” she adds. “Acid yellow and orangy red and the flowers too — we added color!” De Taillac is a great advocate of customizing things to suit one’s own personality, a spirit that characterizes her shop as well. 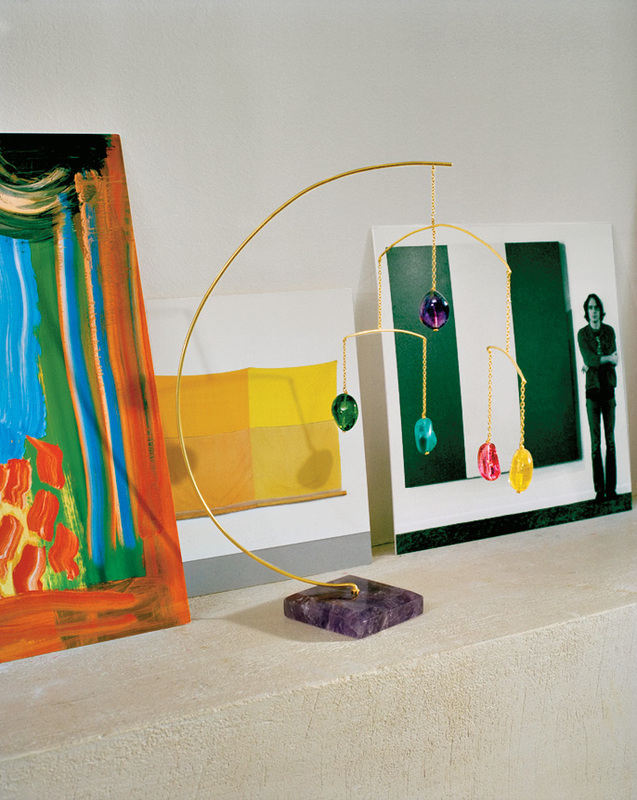 “I like to conceive the jewelry, and then someone makes it their own with the way they wear it,” she says. It’s an interesting notion, considering that her aesthetic is so strong, but the spirit of invention is infectious. 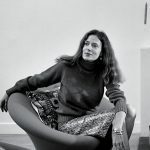 I always wanted to have shops in Paris, Tokyo and New York,” de Taillac says, sitting at her 1970s glass and chrome dining table, a find from the famous Saint-Ouen flea market in Paris. She has just opened her first store in New York, thereby completing the triptych. (Tokyo was first, in 2003, and Paris came next, in 2004.) While the three locations are very different, reflecting not only their locales but de Taillac’s mood at the time of their design, they are all part of her charming realm. She has that wonderful, rather French talent for combining high quality with the whimsical. 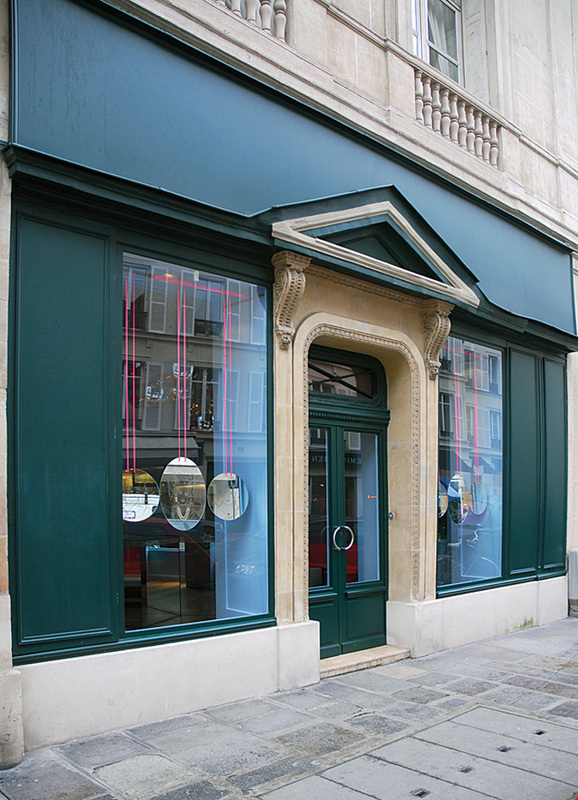 Her shop on Rue de Tournon is so pretty and joyful, painted powder blue, that it is easy to forget it is a purveyor of such precious and extravagant items as a $52,000 diamond necklace or a $15,000 swivel ring. The alluringly playful window display, designed by de Taillac’s niece, shows a row of brightly colored feathery parrots with one of her trademark necklaces of multicolored briolette gems garlanded between their beaks. In the New York shop, meanwhile, the walls are covered in fabric, a blue cotton printed in India with the MHT logo in gold. 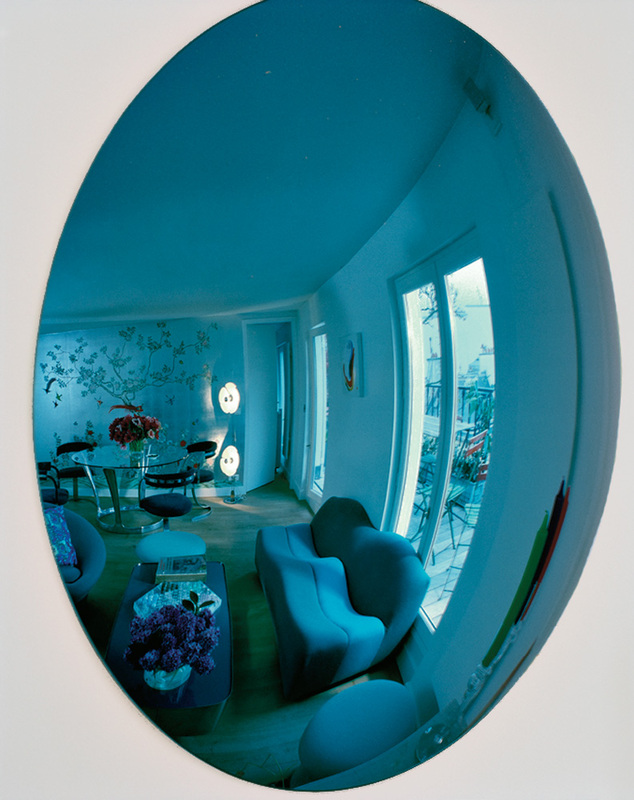 The effect is lovely, especially as reflected in the space’s many mirrors, inspired by recent trips to Marie-Antoinette’s boudoir at Versailles. De Taillac started her business in 1996 with $10,000 and remains the owner. (Her three sisters are her partners.) “If I had a backer, it would be a nightmare,” she says with a laugh. The desire to start something of her own came after working in London in the fashion industry, first with the cult costume jewelers Butler & Wilson in the 1980s, followed by the jeweler Dinny Hall and then the fashion designer Victor Edelstein, famous for dressing the Princess of Wales. But it was Philip Treacy who inspired her to find her own passion. “He was living and breathing for the hat, and I realized I wanted to be as passionate as him,” she recalls. So, she took a sabbatical and went traveling in Asia. On a visit to the Gem Palace in Jaipur, India, she started observing the stonecutters at work. “I spent many hours there,” she says. “I could design a shape and they could make it.” What followed was a meeting of minds between de Taillac and Munnu Kasliwal, a jeweler and visionary who before his death last year at just 54 single-handedly changed the way Westerners regarded Indian jewelry. 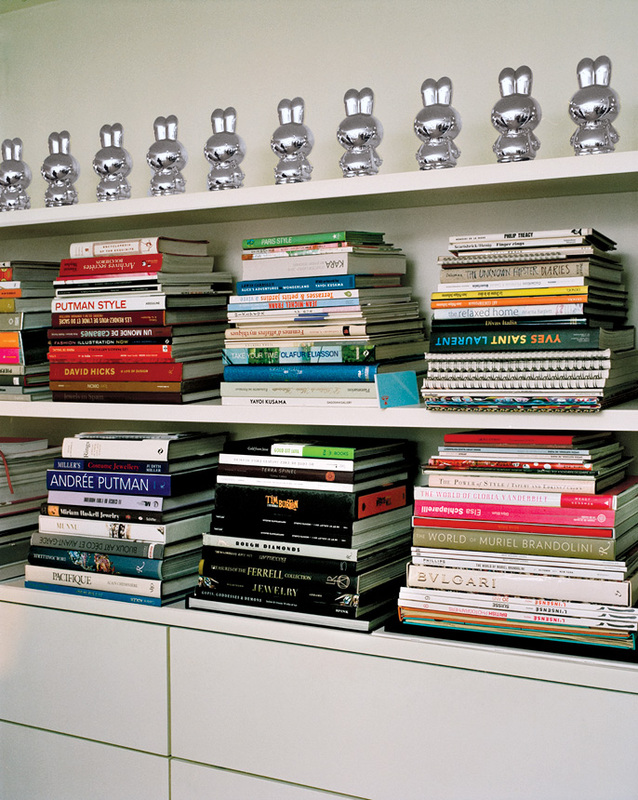 A regiment of silver Miffy moneyboxes, a Dutch children’s character, found at a flea market, lines the top of de Taillac’s bookshelves. 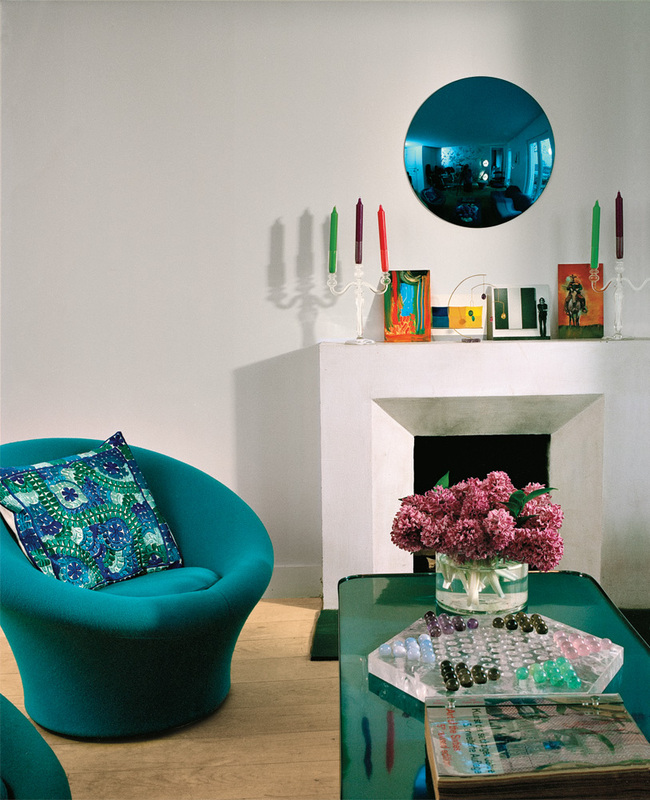 White walls serve as a canvas for colorful furniture, like the Mushroom chair by Pierre Paulin that sits by the fireplace in de Taillac’s living room. A chair by Tom Dixon sits at the foot of de Taillac’s bed, covered with a Kashmir Loom blanket; the picturesque view out the window is of Saint- Sulpice and Saint-Germain-des-Prés. Boxes of hand-tooled leather contain a variety of de Taillac’s creation. The matching Pierre Paulin sofa. An Yves Klein table filled with 46,000 carats of aquamarines anchors the second floor showroom of her New York shop. Courtesy of Marie-Helene de Taillac. Luxury of Simplicity was originally published in the Spring Design 2013 issue of the New York Times T Magazine.